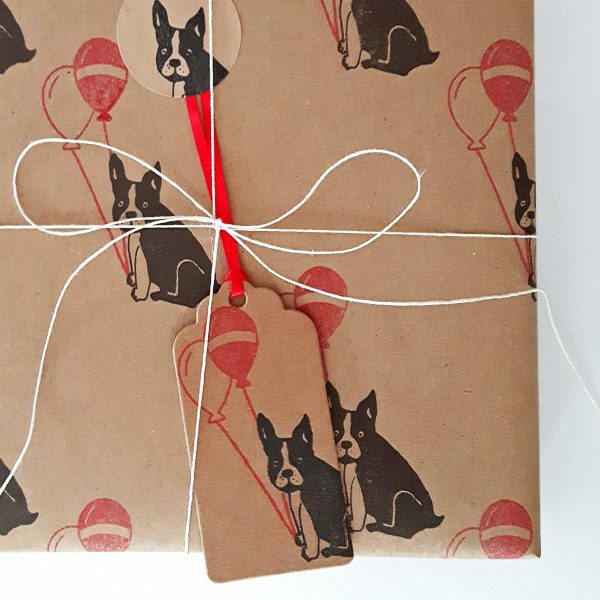 The perfect birthday gift tag! 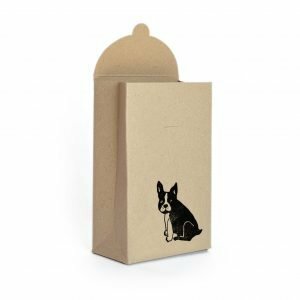 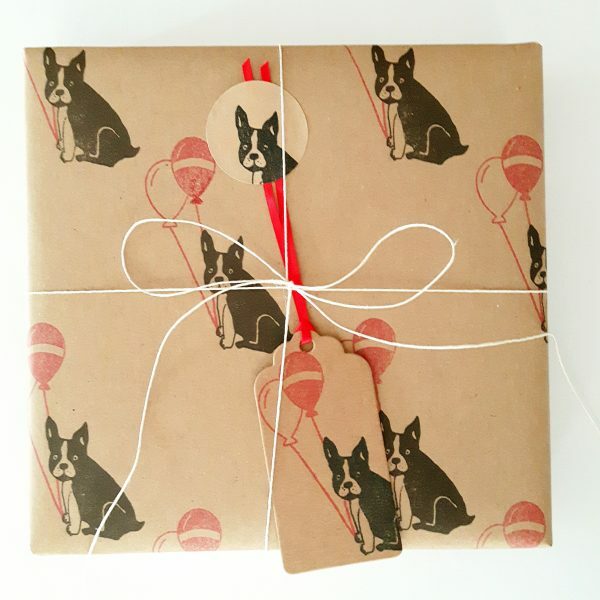 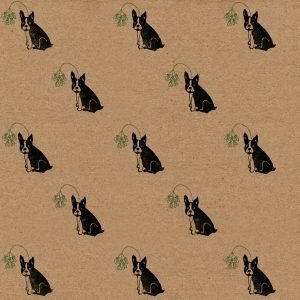 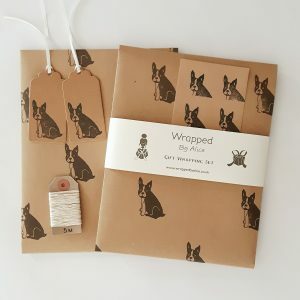 A funny French Bulldog birthday gift tag. 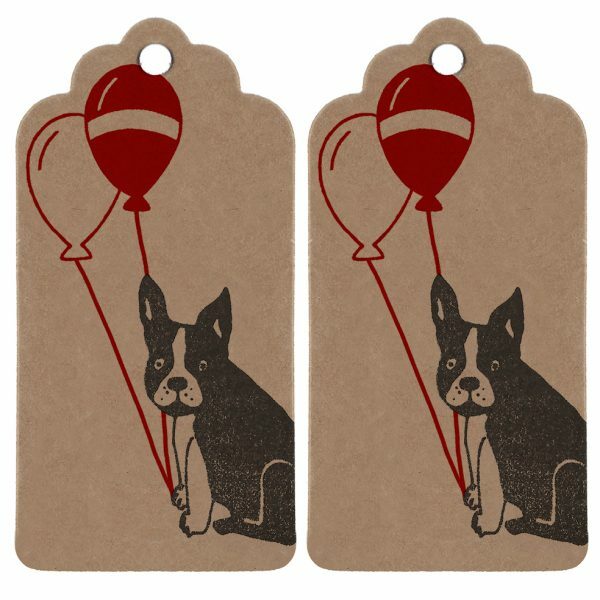 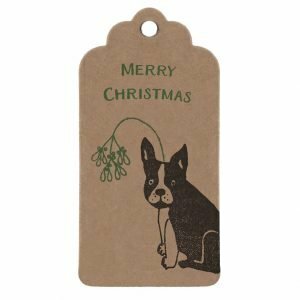 This tag would be perfect for adding the finishing touch to a birthday gift; but, no matter what the occasion, Frenchie Frank stands ready, balloons in paw, to start the party! 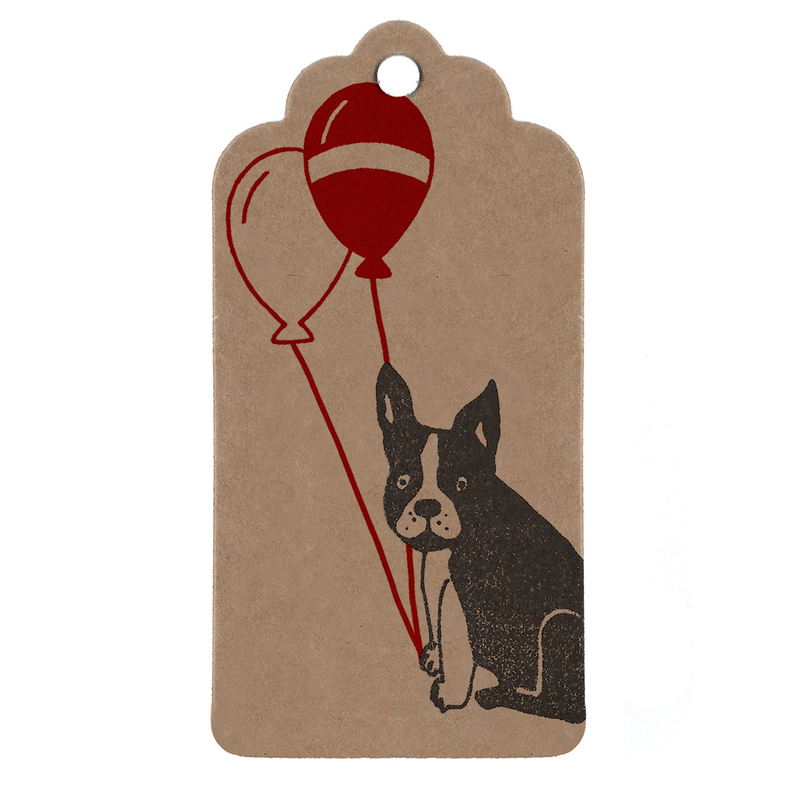 Each tag is printed by hand, using custom stamps produced from original artwork of Frank, and his balloons! After printing each tag is strung with red satin ribbon – ready to be tied to your special gift wrapping! 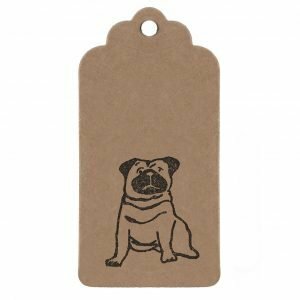 Each tag measures 9cm x 4.4cm, is made from 100% recycled card.